This report reflects information sent in by the public. 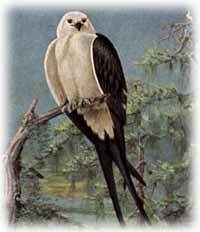 The information included herein involves only sightings of the Swallow-tailed Kite (Elanoides forficatus) for 1998 and 1999 in Texas, unless stated otherwise. quantify and report sightings on this beautiful and graceful bird.